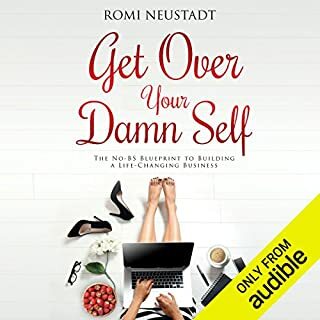 This book is greatly enhanced with Mel Robbins' narration of the audiobook. The book is inspiring and backed by extensive research on the material. I have been implementing the 5 Second Rule since I started Oct 24th (1 month prior to completing the book, as I took notes and really took time to absorb everything) and it has been changing me. I am becoming a better person with baby steps, using the Rule to push me along in life to get to doing the things I don't want to, but have to. It's helping me to be mindful of myself, my moods, my general state of being, and to push out of my comfort zone to communicate better with my loved ones. 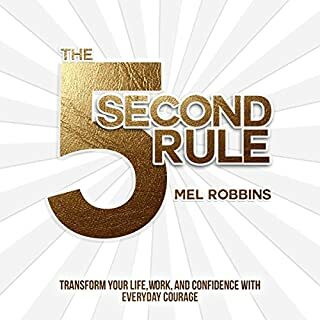 The 5 Second Rule is a book that everyone should read, regardless of where you are in your Journey. Read this book. Learn from it. Become the best version of yourself. This book will be one that I will listen to over and over. That is certain.